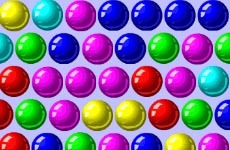 Match all the colored rings with their targets in as few moves as possible. This game is a puzzle based online game in which the player will have to figure out most of the things while making the right matches. Play the game using the mouse of the computer. Each level of the game keeps getting more difficult. All the best!